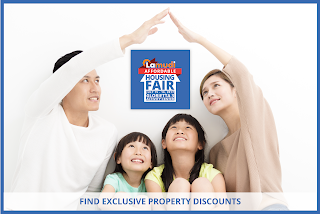 MANILA, May 4, 2017: To further assist Filipinos on their path to homeownership, leading real estate website Lamudi will gather property developers across the country in a big property fair exclusive for the affordable housing segment. Scheduled to happen on July 15 and 16, 2017, at the Glorietta 3 Activity Center in Makati, the largest gathering of affordable properties aims to reach as many Filipinos. Lamudi is setting the event to be an avenue to find the right property that best fits the budget or the perfect place to finally jumpstart the house hunt. “We acknowledge that home-ownership is one common aspiration shared by all Filipinos, but due to the continuous growth of real estate prices, this dream is becoming more and more elusive to some Filipinos, especially to those who do not know where to search. For this reason, we are organizing a housing fair specific to the affordable market,” said Bhavna Suresh Chathambeth, CEO of the Lamudi Group (Lamudi Philippines and MyProperty.ph). Gathering all value-for-money and easy-on-the-pocket housing on one venue will not only help homebuyers. We also envision that the targeted approach of the Lamudi Housing Fair’s second installment will greatly help exhibitors to meet the exact audience that they are looking for,” Ms. Suresh added. More than bringing together affordable developments, Lamudi is preparing more exciting schemes such as property discounts, games, raffles, prizes, and freebies for the attendees. Informative agenda such as real estate investment forums will also be available to complete the package. The event is expected to welcome not only homebuyers but also property investors, real estate professionals, brokers and visitors who wish to learn more about the industry. Likewise, exhibitors are not limited to property developers; other related industries such as property managers, hotels and resorts, brokerage firms, furniture companies, banks, insurance, and other financial institutions are also encouraged to participate and highlight their products and offerings. The first Lamudi Housing Fair was a three-day-event successfully held in November 2016 and was attended by more than 5,000 visitors. To know more about the Lamudi Affordable Housing Fair, visit the Lamudi events homepage.